The new Mazda6 combines the sophistication of a sedan with the athleticism of a sports car. Whether you’re searching for a Mazda6 Sport or Mazda6 Touring model, we have an option for you. Ready to explore your Mazda sedan options? Visit us near Poway today! When you’re ready to explore the different Mazda6 trim levels or find out more about the Mazda6 features and technology, be sure to head to our dealership in Escondido. We have an expansive Mazda6 inventory for you to choose from, and you can snag a Mazda lease special for an even better deal. 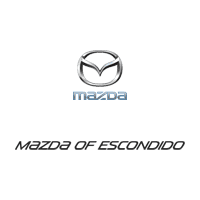 Contact us today to schedule your test drive and see why you should buy your next Mazda from Mazda of Escondido. If you’d like to do further research before making your decision, compare the Mazda6 vs. Toyota Camry!